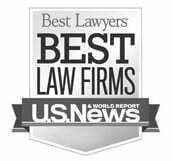 Best Lawyers, the oldest and most respected peer-review publication in the legal profession, has named Carol Forte as the “Best Lawyers’ Newark Area Medical Malpractice Lawyer of the Year” for 2011, and Kenneth A. Berkowitz as the “Newark Area Best Lawyers Product Liability Litigator of the Year” for 2011. Steven Naifeh, President of Best Lawyers, says, “We continue to believe – as we have believed for more than 25 years – that recognition by one’s peers is the most meaningful form of praise in the legal profession. We would like to congratulate Carol L. Forte and Kenneth A. Berkowitz on being selected as Lawyers of the Year. 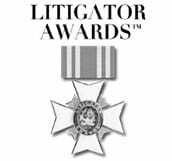 For more information on Best Lawyers selection methodology for “Lawyers of the Year,” please click here.